Katla (Southern Iceland): An increased number of small earthquakes, up to magnitude 2.7, has been occurring near the surface or at very shallow depths under Katla’s ice cap since yesterday. These quakes are most likely related to weight adjustments of the thick ice cap during the ongoing seasonal melting and unlikely to represent a true seismic swarm caused by (internal) volcanic activity. 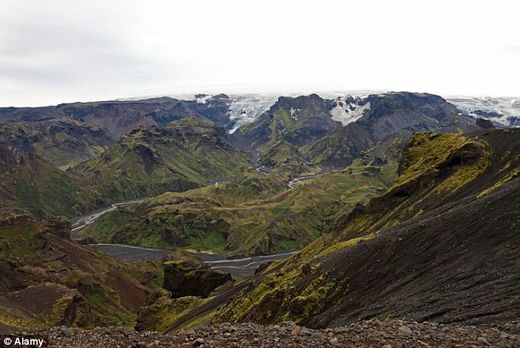 In the meanwhile, the alert (uncertainty level) for the areas around rivers from the Mýrdalsjökull glacier has been cancelled by Iceland authorities. The government of Iceland has raised the level of concern for Katla after swarm of earthquakes. Is Katla Ready To Blow? In 2010 the eruption of EyjafjallajÃ¶kull in Iceland closed the airspace of Europe. Katla is immensely bigger. It could be devastating! UPDATE: The Three Rivers quake is on the south shore line of Pauline Lake. Paulina Lake is one of the twin crater lakes (the other being East Lake), located 6,350 feet (1,940 m) above sea level in Newberry Crater within the caldera of Newberry Volcano, about 25 miles south of Bend, Oregon. The National, the Abu Dhabi Media company’s first English-language publication, has set a new standard of quality English-language journalism in the Middle East claims this as new, but it’s not current and not Katla! It’s probably an eruption at GrÃ­msvÃ¶tn volcano at approximately 17:30 UTC, May 21st 2011. Seismologists are nervously watching rumblings beneath Katla, a volcano on the southern edge of the north Atlantic island nation, which could mean an eruption is imminent. Quake-hit Iceland volcano Katla shows strengthening signs of eruption. Katla registered a 3.2 quake yesterday amid increasing signs that a full-scale eruption is near. The latest quake follows a week of increasing activity with official reports of harmonic tremors and earthquake swarms.